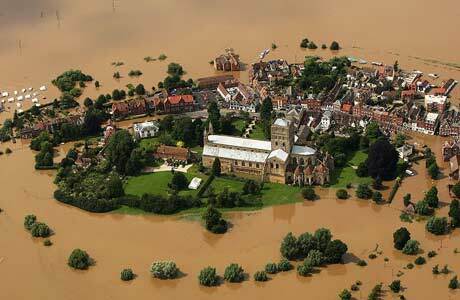 So it’s official, the disastrous floods in the UK last year were NOT due to global warming. That is the conclusion of a report published by the Centre for Ecology and Hydrology, in which it says “The river floods of summer 2007 were a very singular episode, which does not form part of any clear historical trend or show consistency with currently favoured climate change scenarios”. Instead, the report concludes that the main cause was extended rainfall during the early summer that caused the soil to become saturated. When the torrential downpours occurred later in the summer, the ground could not absorb them as easily as it could have done had the soil been dry, as it normally would have been at that time of year. This, combined with ill-considered housing development on flood-plain land over the previous ten years, produced an abnormal set of conditions in those areas affected, and nature simply did the rest.